If there's one genre of food that I simply don't get enough of here in DC it's tacos. When I lived in Baltimore, I was spoiled by having two 100% gluten-free taquerias in the city to satisfy my cravings. Since leaving Charm City, my taco consumption has dramatically decreased, so when 100% gluten-free La Esquina's midtown taqueria popped up as nearby restaurant when I was looking for a lunch spot close to Studio 54 (where I was catching a show), I didn't need more than a second to to decide that was the perfect pre-show stop. 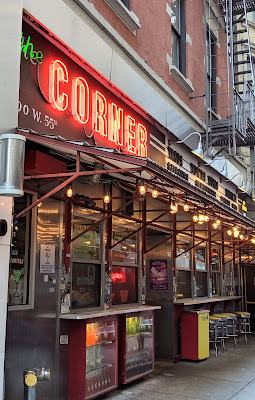 On the brisk, grey, January day I visited, La Esquina's colorful exterior was a wonderful break from the less-than-magical streets now that the magic and cheer of the holiday season are over. From the moment I walked in, their helpful staff welcomed me, and immediately asked without my prompting if I had dietary restrictions (and also explained that they were completely gluten-free without me having to ask). Already at ease and eager to see how their tacos would measure up against some of the greats I've enjoyed over the years, I ordered a small feast to sample around the menu. That colorful cheerfulness extends into the taqueria's interior, as the restaurant's decor prominently featured colorful flags and flowers. 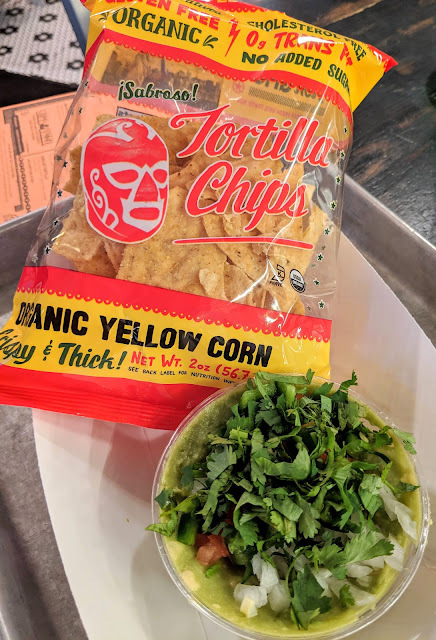 The menu is prominently displayed, as are La Esquina's propriety chips and salsas that enable you to take their recipes with you (as it happened, I realized that the latter actually made its way onto an Expo East roundup post back in 2014). So that I could sample around the menu and fuel up for a long day (a matinee show and long train journey back to DC), I ordered a feast: three tacos, chips and guacamole, and Jamaica agua fresca. Beginning my review with the Jamaica, the bright and bold flavor of tangy hibiscus tea was an awesome way to start the meal, and provided a perfect splash of sweetness between bites. 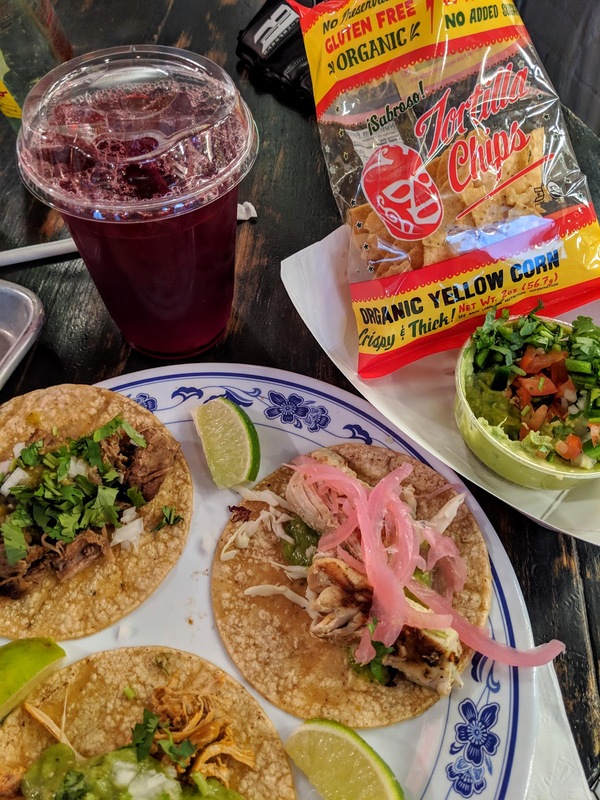 To me, no taco feast is complete without Jarritos or hibiscus tea, and La Esquina's more than passed muster and earned top marks in my book. 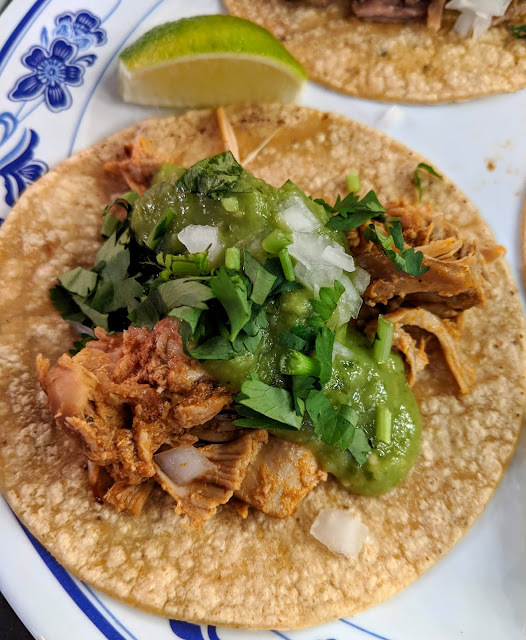 The pollo taco featured tender and spicy rotisserie-style chicken and featured a lovely salsa verde, onion, and cilantro. Don't let the simplicity of this taco fool you, it's execution was sheer perfection, a one-way ticket to my taco happy place. The thick corn tortilla that formed the base for this taco (and the others) was more than up to the task of containing the fillings, lasting from first bite to last effortlessly (unlike so many others that give out halfway through). The pescado taco featured salsa verde again, but mixed it up the veggie toppings, as pickled onion and cabbage rounded out this taco. The crispness of toppings gave the taco a crunch that was satisfying, and the firm fish was seasoned nicely, especially so with a squeeze of lime to add a tart finish. Rounding out my taco trio was the carnitas, featuring a hearty roast pork with the salsa verde, onion, and cilantro. 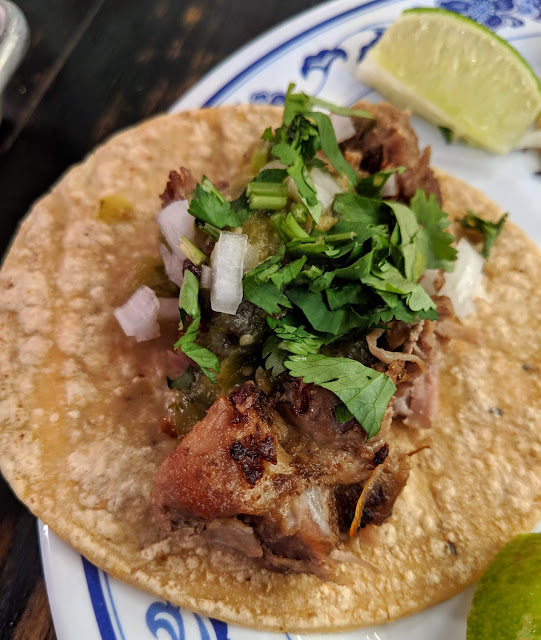 While each taco performed admirably in my taste and durability test, I think top prize has to go to the carnitas, because it had the "Mary Poppins" effect: it was practically perfect in every way. La Esquina's chips are made from the thick, homemade tortillas that form the backbone of the tacos. These chips are prepared to handle the thickest of dips, which make them an ideal choice for pairing with salsas or guacamole (as in my case). They have a satisfying crunch, and achieve a perfect tortilla chip balance where they are not too greasy and have the perfect amount of salt. The loaded guac comes with a generous portioning of onion, cilantro, jalapeños, and tomato, which render the guac super chunky-just the way I like it. The thick guac was dreamy with über-fresh ingredients and a hint of lime. I'm secretly glad this guac isn't bottomless, because there's a real danger I could eat my weight in this glorious creation! I was so relieved and happy that I could enter La Esquina Taqueria a critic and leave a total fan. As a frequent visitor to New York, I'm glad I know exactly where to go when I need a taco fix, and can dine worry free knowing that everything is gluten-free. 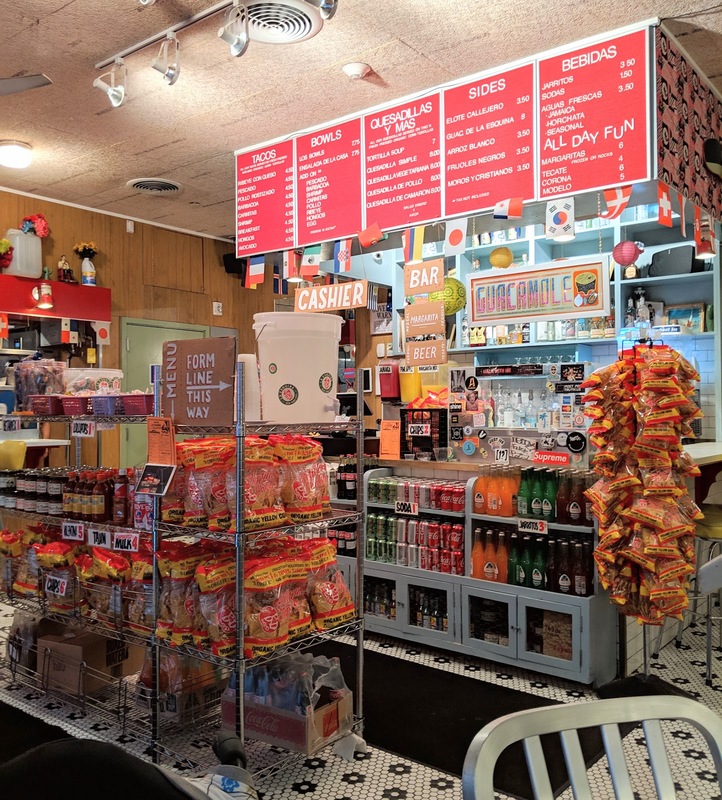 Everything I ate was delicious and clearly crafted with care and I enjoyed hanging out in the fun, authentic atmosphere as I savored my meal. 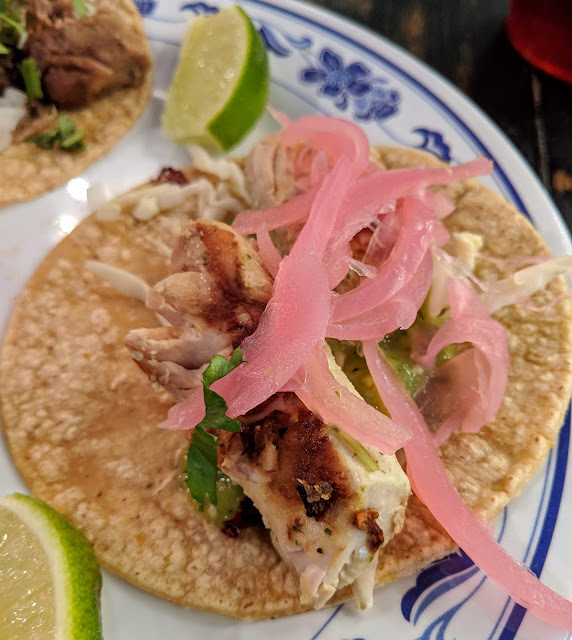 It's not every day food can transport you to another part of the globe, but La Esquina delivered a truly enjoyable culinary trip to Mexico.